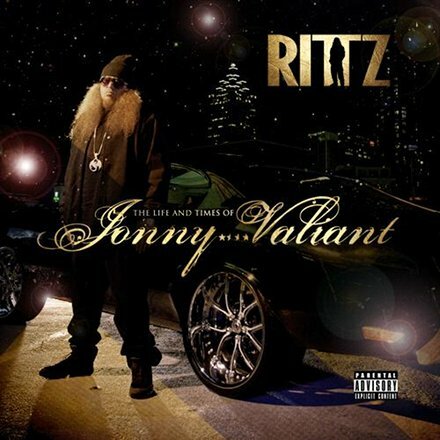 Rittz – The Life And Times Of Jonny Valiant – Pre-Order Now Available! Gwinnet County, GA’s finest, Rittz, is set to drop his Strange Music debut album, The Life And Times Of Jonny Valiant, on April 30th! Bringing the Slumerican attitude to Strange Music, Rittz is set to take you on a lyrical walk in his shoes. The Life And Times Of Jonny Valiant is the highly anticipated Strange Music release from Rittz – don’t miss your chance to preorder your copy now! With tracks like “Switch Lanes” and “Say No More”, as well as features from the likes of Tech N9ne,Yelawolf, Mike Posner, Big K.R.I.T., Krizz Kaliko and others, this is sure to be a can’t miss album. With your preorder of The Life And Times Of Jonny Valiant, you’ll receive a signed copy ofThe Life And Times Of Jonny Valiant, a limited edition Rittz t-shirt (XL only), a Strange Music sticker and a bonus mp3 track.